We only stock products from the most well respected and high quality manufacturers - we presently stock the Triton and Heatrae Sadia brands of electric showers - simply click on one of the sub categories below to go through to their specific product ranges. Remember that we offer a minimum 1 year warranty on all products bought online, and offer Free Delivery on orders over £49. These are available in a range of styles - just click on a shower displayed below for further information. 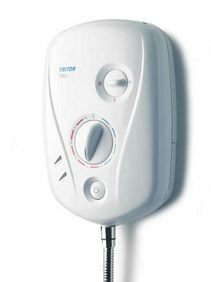 We offer Free Delivery on orders over £49 - so presently any Triton shower will fall into this free delivery threshold. We also provide a minimum of a one year warranty on all products bought online; and a 30 Day money back guarantee if you're not entirely satisfied with what you've bought! 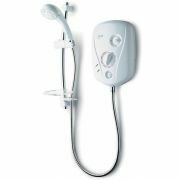 Here you'll find our range of Heatrae Sadia range of Showers available to buy online - Heatrae Sadia are highly reputed for their great range of water heating products, and indeed their range of electric showers are manufactured to as high a standard as you'll find on the market. Fitted with electronic controls and a temperature display, these Heatrae Sadia showers are top of the range and are ideal for domestic installations. These are provided with a minimum one year guarantee, and with Free Delivery on orders over £49, the price you see is the price you pay.